Lemur now has another mobile home. 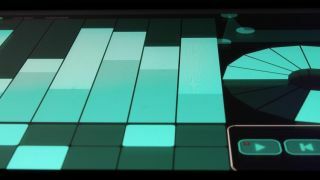 It began life as a standalone piece of multitouch hardware from JazzMutant, then it was reborn on the iPad, and now the Lemur controller has come to Android. This acclaimed app enables you to use the bundled controller templates (many more are available for download) or design your own using the various 'objects' that are available. In feature terms, the Android version looks to be pretty similar to the latest iOS release, with the only significant omission being the in-app editor that enables you to create controller templates on your iPad rather than your computer. What is worth noting, however, is that, as things stand, Lemur is only supported on the Nexus 7 tablet. That said, Liine says that it has been successfully tested on various other Android 4.2+ devices, and that the list of officially-supported hardware will grow in the near future. Find out more on the Liine website, or download Lemur for Android on the Google Play store. It costs £17.49/$24.99.